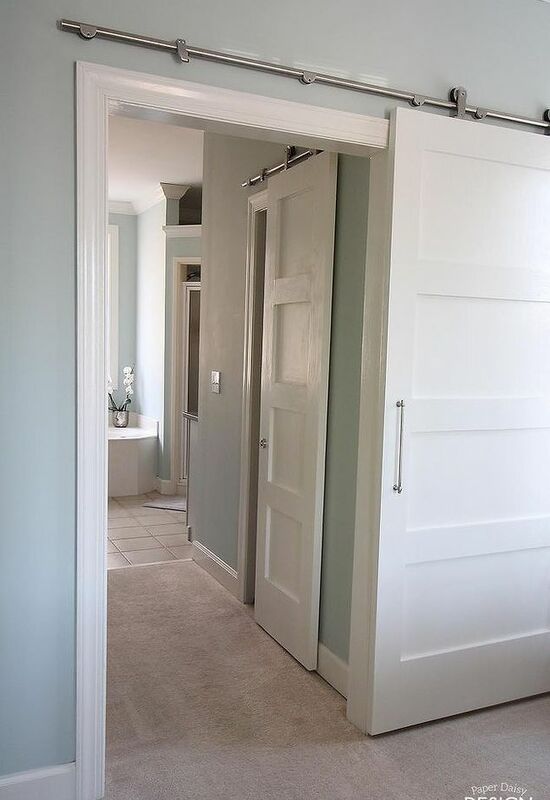 So barn doors inside your home have grown so popular! They save space and add tons of personality to your room. You can give your space a rustic feel with distressed wood panels, or keep it simple and modern with a white paneled door like the one above. People think it’s a lot harder than it actually is to install one of these sliding doors in your home. Don’t be afraid, just follow the tutorial at the link below to know how to make your own DIY Modern Barn Door!